Do I Need a Realtor When I Buy New Home Construction? Do I need a realtor when I buy a new home construction for sale in Summerville or the surrounding areas? This is a great question most new home buyers ask themselves. First, let’s cover some facts to help answer this question for you. The cost for you to have a realtor representing you is free. Home builders always pay realtors a percentage of the home. It is a built in cost that they expect to pay and if you don’t bring a realtor with you, that results in more profit for them. They will not reduce the price of their home because that will lower the values of all of their other homes. As a result, you should always have representation when you walk into a new home development site or talk to a new home salesperson. The new home salesperson is representing the Builder, and protecting their best interests. The contracts, which are unique to their development are written in favor of the builders and you need your South Carolina realtor to go through the contract and advise you. The salesperson onsite at a development will be extremely friendly and helpful, but don’t forget that they are employed and paid by the builder and their loyalty will go with them. After the contract is signed, as questions come up and if problems occur, you will be grateful you have an agent who is solely looking out for you and making sure the builder is doing what he is supposed to do. You can’t always expect that from an onsite agent who has moved on and is working with new clients. Making sure you have a Summerville Realtor who is working for you is vital in the new home buying process. Having a son who is a custom home builder, helps me to have an extra layer of experience in the New Home Construction arena. This knowledge of the ins and outs of the building process will help you to make wise decisions about your new home for sale in Summerville. Most people think that buying a new home is like buying something at the store…it is a fixed price with no room for negotiations. However, depending on the temperature of the market, this is not always true. Because we are in a heavy seller’s market right now, there is less wiggle room, but while the prices are often firm, incentives, upgrades and closings costs are all negotiation tools that your Realtor can wield in your favor. When you buy on your own without representation the benefit to you equals ZERO. When you purchase without a buyer’s agent, the savings go to the builder and are not passed on to you. Your realtor’s job is not just about finding you your home, but successfully navigating you through the passages that will see it all the way to completion and see that your best interests are always honored. Don’t make the mistake of trying to handle your new home purchase without representation. Please contact me if you have any questions for me about the process or would like to look at New Homes for Sale in Summerville or the surrounding areas. I ask that all of my clients allow me to come along or at a minimum allow me to pre-register you with the builder for your first visit if you would rather check things out the first time on your own. I am glad to see that those involved in the SC Loan Scheme have been brought to justice. Proverbs 13: 7 says ” There is that maketh himself rich and has nothing, and there is that maketh himself poor yet hath great riches…” The Leader of the SC Loan Scheme has been sentenced to three years in jail. 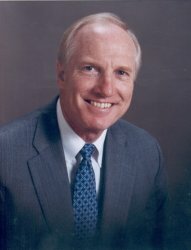 What happened in this Loan Scheme in South Carolina? How does this affect my real estate clients? Another boom of real estate is happening right now in Summerville SC Real Estate. I am always mindful that I am educating and protecting my buyers and sellers from loan fraud and similar scams. When you are going to buy a Summerville home or sell your Summerville home, make sure you have someone in your corner that has weathered the ups and downs of the market and can guide you through the process. Please contact me if you are interested in buying a new home in Summerville , a historic home in Summerville or selling your Summerville home. It’s a wrap! 2015 is officially over and we are on to 2016 in Summerville & Charleston, SC. Last year was a strong year for Charleston & Summerville SC Real Estate. Thirty six thousand, six hundred and fourteen homes were closed just in the town of Summerville with an average sales price of $203,759. This sales price is up 7% from 2014, and the number of homes closed in Summerville is up 16% from 2014. Homes for sale in Summerville are averaging 30 days on the market and there are currently 1093 homes for sale in Summerville at this very moment. 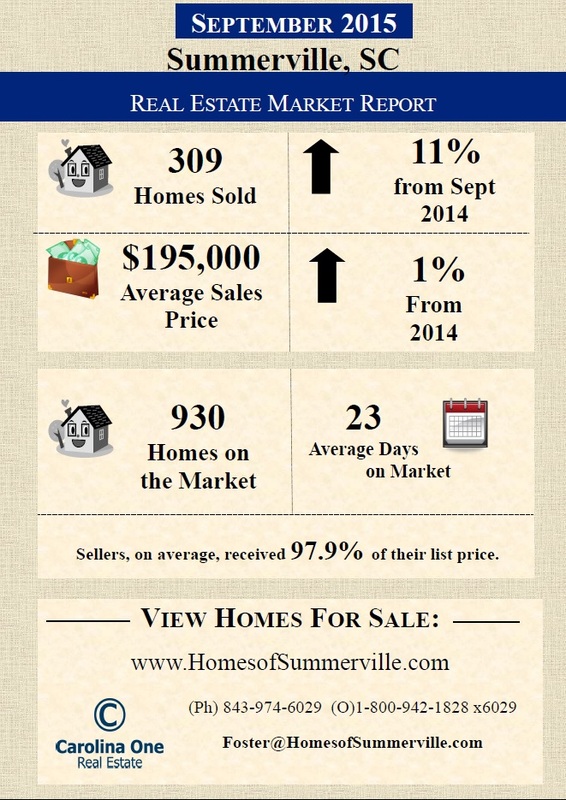 It is a good time to be a seller in Summerville because they are, on average, receiving 98% of their list price. If you have been considering putting your home on the market, now is a good time to talk to me about your Summerville home’s value. With the springtime temperatures we’ve been experiencing, people are still out and about and looking at homes. As you can see from this chart, home sales have dramatically risen in the Summerville area over the last two years. With interest rates still low (won’t be that way much longer), homes are moving quickly and sales continue to rise. Please feel free to contact me if you are interested in buying a new home in Summerville , ahistoric home in Summerville or selling your Summerville home. Real Estate Transactions are up 15.8% compared to this time last year and the median sales price has risen 4.4% in the Summerville and Charleston, SC area. The continued low-interest rates are ushering more into the housing market and making the Lowcountry a vibrant place to do live and do business!